The Monster Mash Finals at Playlounge here in London tonight the 2nd of February. 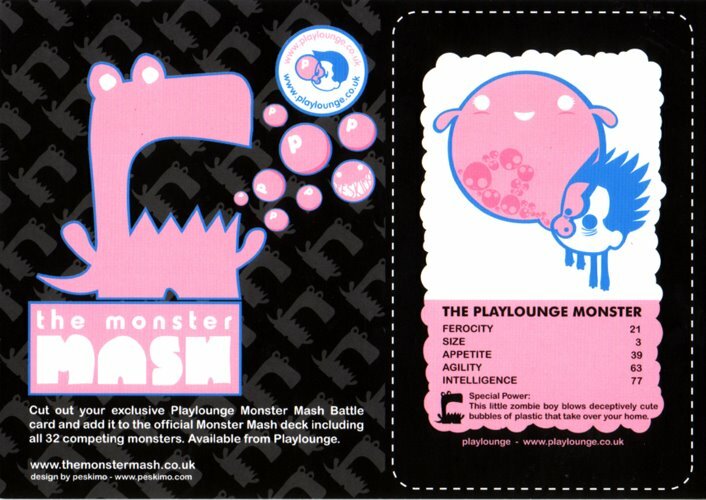 Make your way to Playlounge to see the final monsters go head to head in a public vote to find the Monster Mash winner. Tado : Lunartik : Andy Smith : Jon Burgerman : Kid Carpet : Peskimo : What What and many more. Playlounge, 19 Beek Street, London, W1P 9RF. 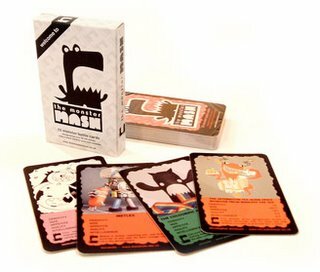 Check the website themonstermash.co.uk for more info, the full line up and the chance to buy a pack of Monster Mash Battle Cards which feature all the artist taking part. Exclusive card downloads also on the website.